Join us for drinks and good conversation at the NSW launch of Hal Colebatch’s new book, The Modest Member, on the late Bert Kelly, a stalwart South Australian politician who championed free trade at a time when protectionism was rampant in Australia. The launch will be made by the Hon. Malcolm Turnbull MP, Shadow Minister for Communications and Broadband. 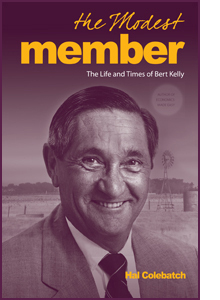 Copies of The Modest Member: The Life and Times of Bert Kelly will be available for sale at the event and afterwards courtesy of The Constant Reader bookstore.